Put on your cowboy boots and get ready for a rodeo reunion. The 2018 Florida Cattlemen’s Associations Florida Ranch Rodeo & Free Cowboy Heritage Festival is coming up in a few short weeks. Dusty Holley, director of field services for the Florida Cattlemen’s Association, has been really busy the past few months, preparing for the upcoming event. The event, which will be held September 28-29, calls for a tremendous amount of planning and attention to detail from Holley and the rest of the association’s staff, plus volunteer workers. But Holley gamely agreed to take time out to answer our questions about the popular event. The Cattlemen’s association works in conjunction with the Florida Cattlewomen Inc. and the Florida Cattlemen’s Association to put the event on. Q: Can you provide some history on the Florida Ranch Rodeo & Free Cowboy Heritage Festival? When did it begin? Who started it, and why? This will be the 11th year the event will be held, Holley says. 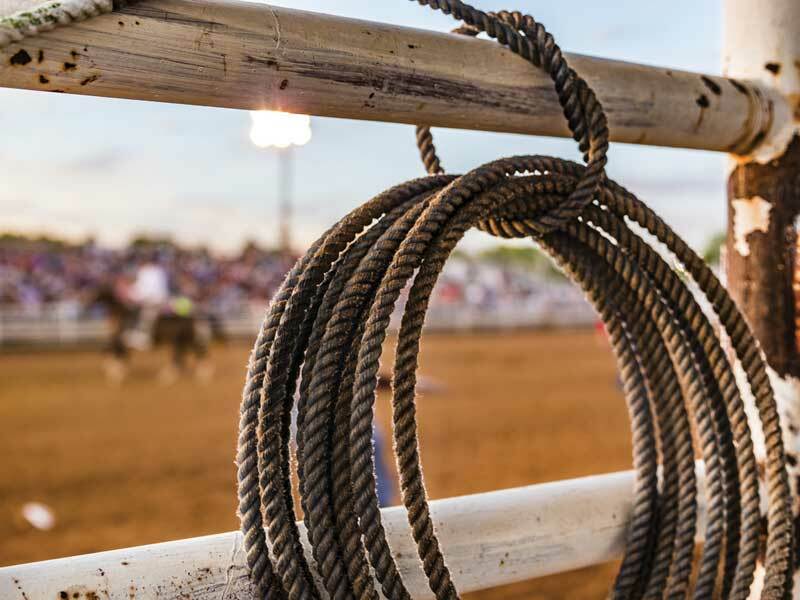 The idea for the rodeo and festival took shape when Jim Handley, executive vice-president of the Florida Cattlemen’s Association, noticed that more and more many counties in Florida were holding similar events. Q: Is this a rodeo? A festival? A cowboy reunion? All of the above? It is all of those things and more, he says. The competitive events — which result in the naming of the state champions in various categories — draw competitors and spectators alike. The festival has changed in various ways over the years. Some features were dropped as they lost popularity and others have been added as they became trendy. Q: Who attends? What has attendance been in the past? Any projections for this year? The event is like a reunion for cowboys, ranch families, agricultural communities, and others who look forward to attending annually. “It’s like old home week,” Holley says. Q: Is attending this rodeo/festival likely to feel like a trip back in time to the Wild West? Maybe not so much wild, but the crowd will absolutely be sporting cowboy boots, cowboy hats, jeans and all manner of western wear. While it’s not exactly a dress code, lovers of this style of attire will certainly be in their element. Q: Is this a fundraising event? If so, is there a projected goal? And what are the funds used for? The event is a fund-raiser for the association’s non-profit foundation. The foundation is dedicated to preserving the rich history of the Florida ranching industry and sustaining the industry as a whole. Money raised goes toward research, leadership development programs and heritage and historical projects. Q: How much money might the festival/rodeo events raise? “As much as we can,” Holley says. “We raise as much money as we can. Tickets for the rodeo are $10; children ages 10 and under are free. The event will take place at the Silver Spurs Arena, Osceola Heritage Park in Kissimmee. Friday, September 28, the Working Florida Cowdog Competition will take place between 8 a.m. and noon. Ranch Rodeo Finals are at 7 p.m.
2018 Florida Cattlemen’s Association Ranch Horse Competition: Saturday, September 29, 9 a.m. to 1 p.m.
2018 Florida Cattlemen’s Association & Foundation Whip Popping Contest: Saturday, September 29, starting time is 10 a.m.
Storytelling and poetry recitation will take place between 10 a.m. and 5 p.m. Saturday. A trophy for the oldest and youngest contestant will be presented, and winners will be asked to showcase their talent during the rodeo performance Saturday evening, that begins at 7 p.m.